I get dressed before I face each day but so often I leave the house without dressing my heart with your virtues. But here you remind me that the clothes I wear over my soul are more important than the threads donned on my limbs. Help me to chose to love everyone with these virtues. Give me gentleness, compassion and everything in between. And when loving means I must forgive a direct wound from an irritable soul, grant to me in that moment the supernatural ability to view your cross where you begged the Father to forgive us all. 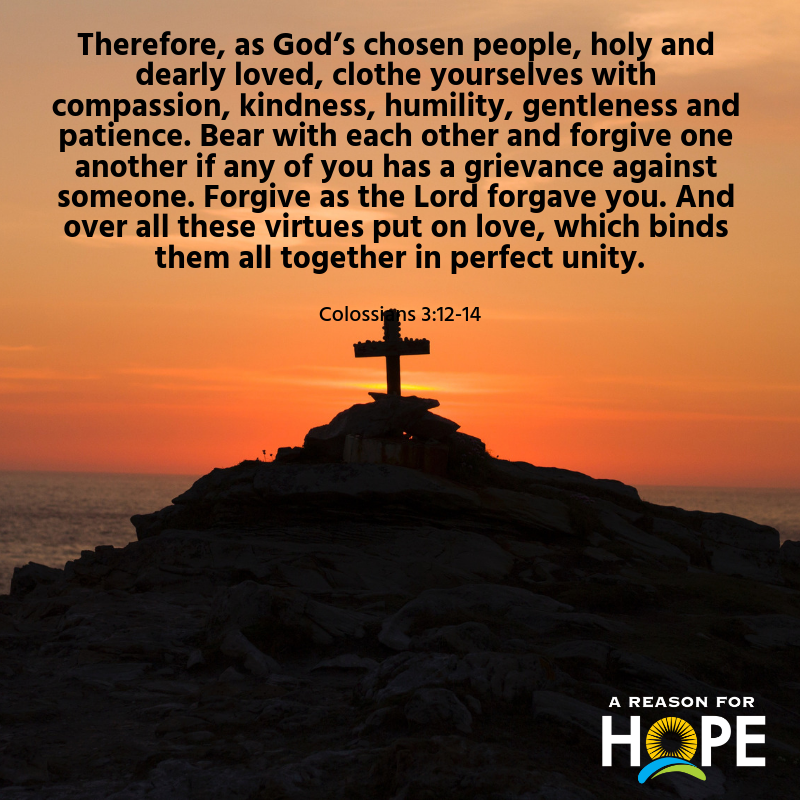 I want to experience perfect unity with others through the love you created on Calvary. Oh, Jesus, give me a love that dies to self and rises to change even my enemies with redeeming grace. On that old rugged cross, Jesus created a rugged grace that loves people more toughly than any mamma bear.